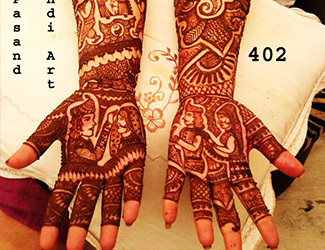 MANPASAND MEHANDI ART provide services in Wedding, Fusion, Teej, Diwali, Bhai Dooj mehandi artists & design in Delhi NCR..
Mehandi is a traditional art form which stems from ancient times within the Indian and Arabian sub-continents. 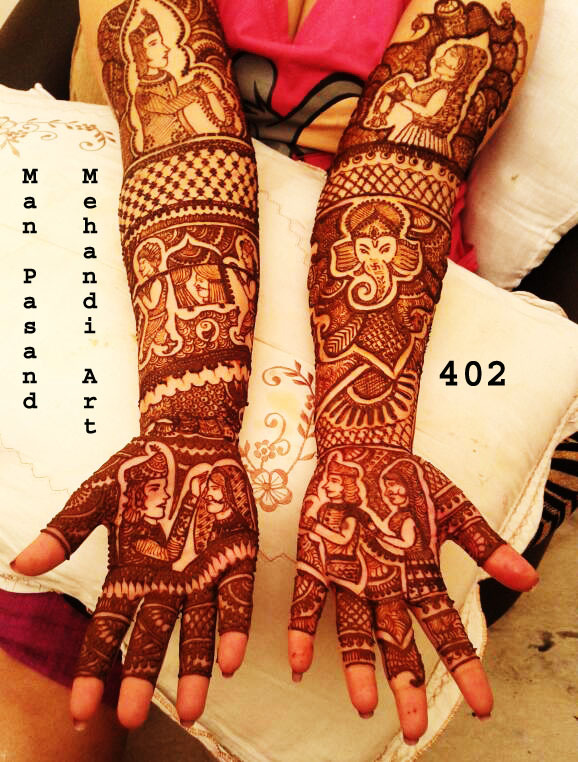 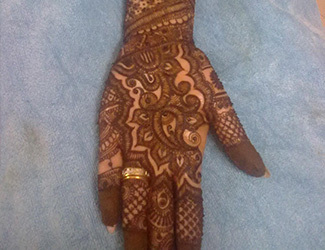 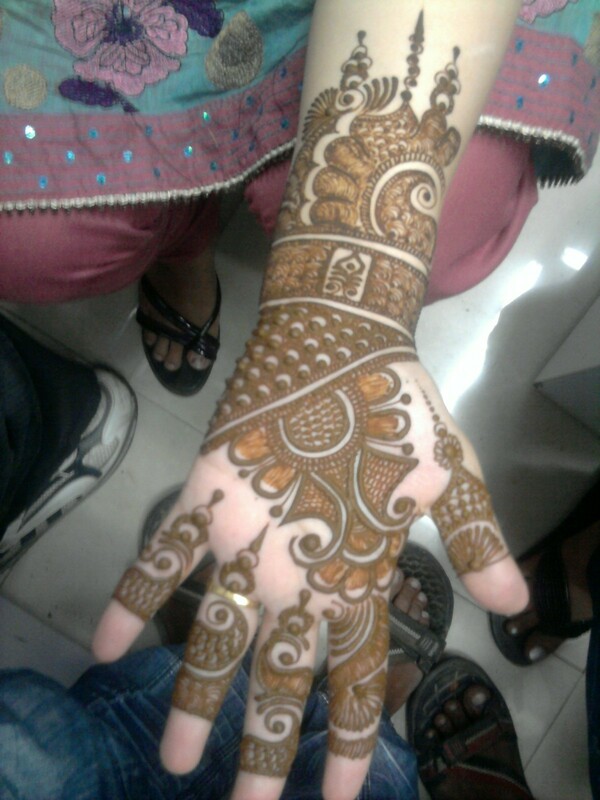 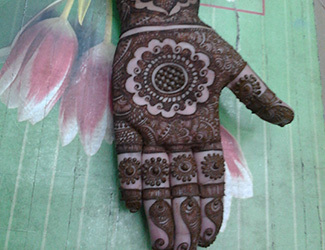 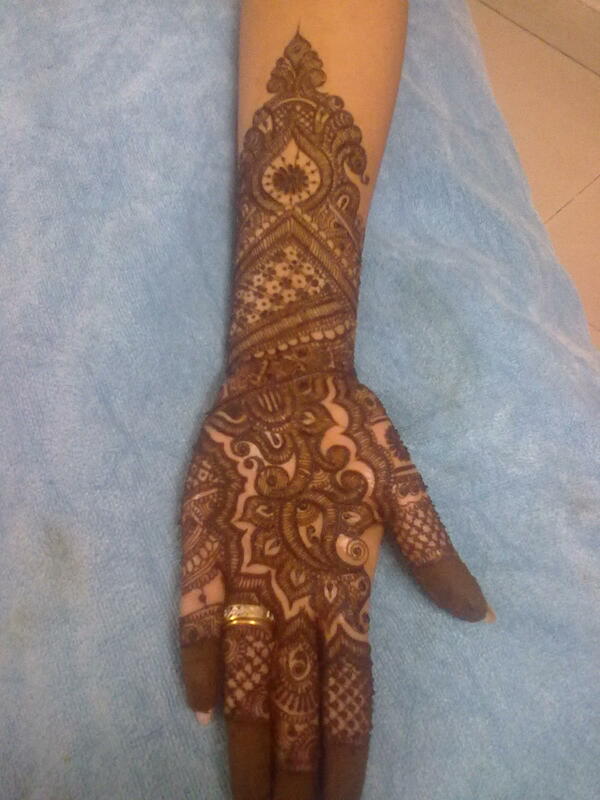 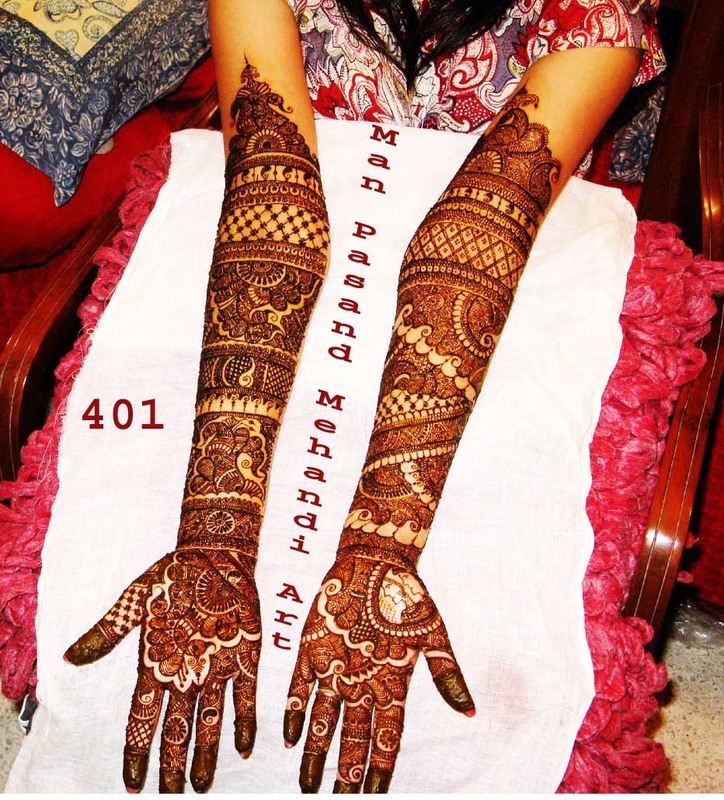 Mehandi art is passion for Rajkumar. 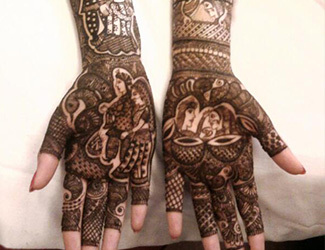 His work is finest in the town. 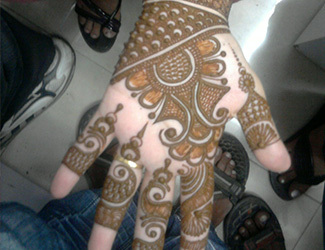 He is in this occupation since 2004. 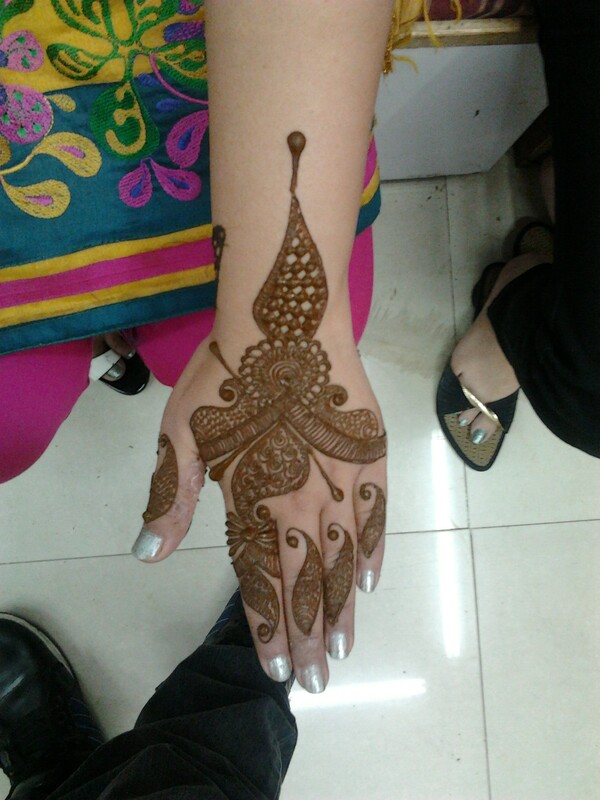 A great experience works for every client. 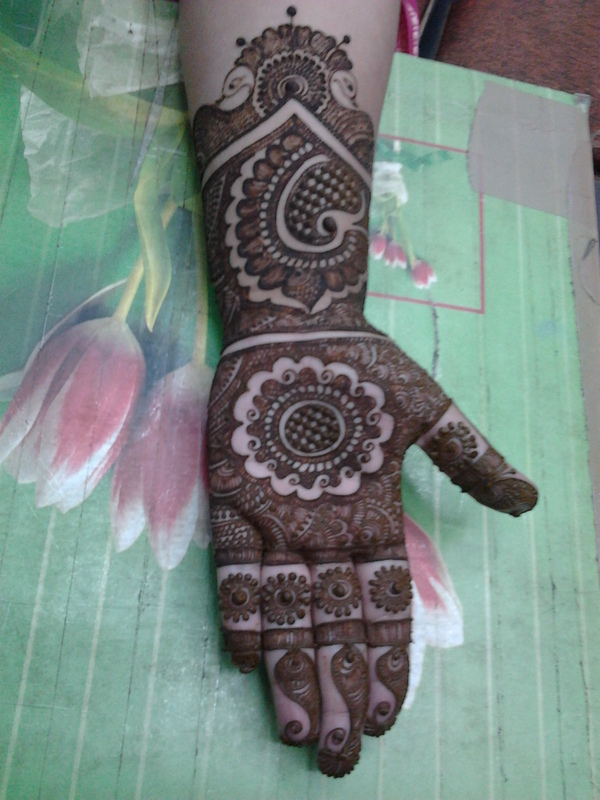 He has always new design. 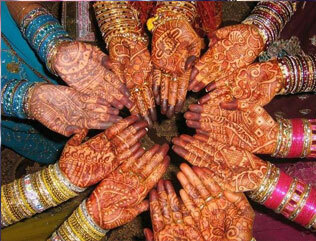 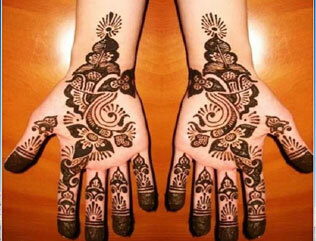 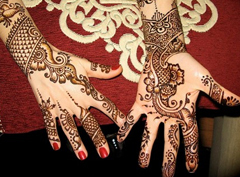 For over five thousand years henna has been a symbol of good luck, health and sensuality in the Arab world. 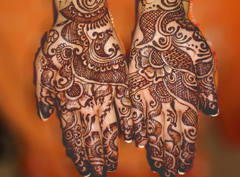 The plant has been associated with positive vibes and provides a link to an ancient age full of good and bad spirits, Baraka and Jnoun. 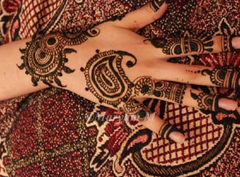 Generations of women have used a paste made primarily of dried ground henna leaves to cover their hands and feet with designs ranging from simple blobs to intricate geometric patterns designed to ward off evil, promote fertility and attract good energy. 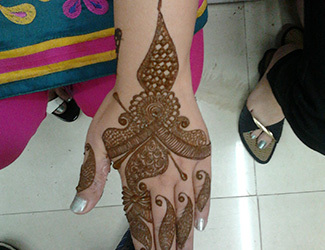 The dye used to create the beautiful designs you see on my cousin's hands, pictured above, is made from dried, ground henna leaves and various other ingredients, which you can investigate further on my recipe page. 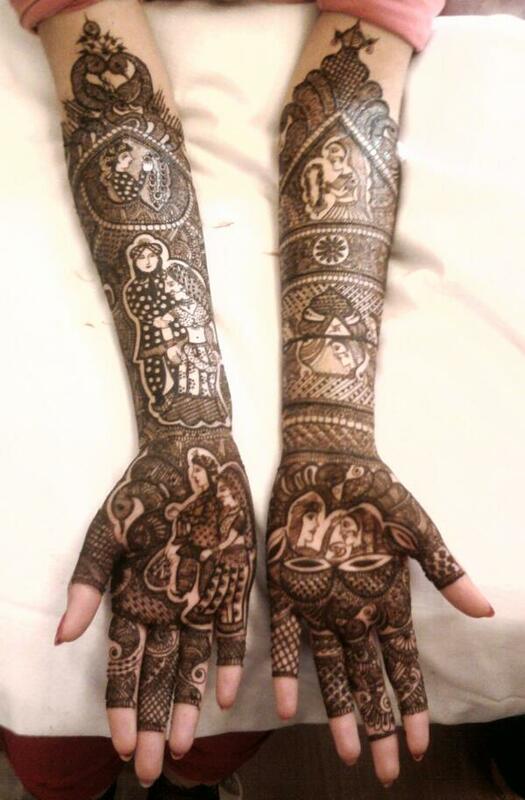 Always a pleasure to see my brides as newly weds and do Raj Kumar Mehandi on them. 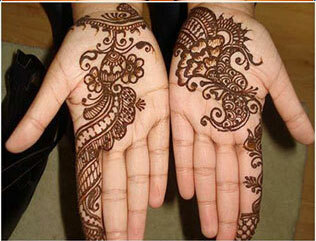 Love how the space is broken up by the swirls. 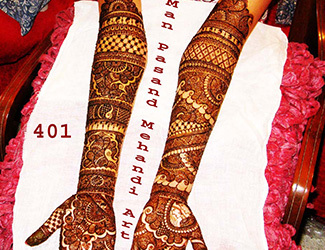 Manpasand Mehandi, the colour has set really well on her hand and the simplicity of the design makes it all the more beautiful! 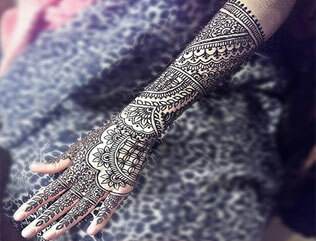 कर्म करने वाला भग्य चक्र को बदल देता है!